Those of you who follow this blog regularly, already know that pumpkins are often featured here. The world record for largest pumpkin has been broken this week at the Topsfield fair, in Massachusetts, with a specimen weighing in at a whopping 2,009 pounds (912 kg). The heaviest pumpkin title was previously held by a Quebecer grower, whose pumpkin was weighing only (!) 1818,5 pounds, about 825 kg. It’s that time of the year again for spectacular pumpkin races in all the communities where pumpkin is grown. Whether you wish to paddle or just watch the paddlers on their vegetable boats, it’s quite an event. If you are curious to know how do they grow such huge pumpkins or if you are considering to give it a try, here’s a link to some useful tips. 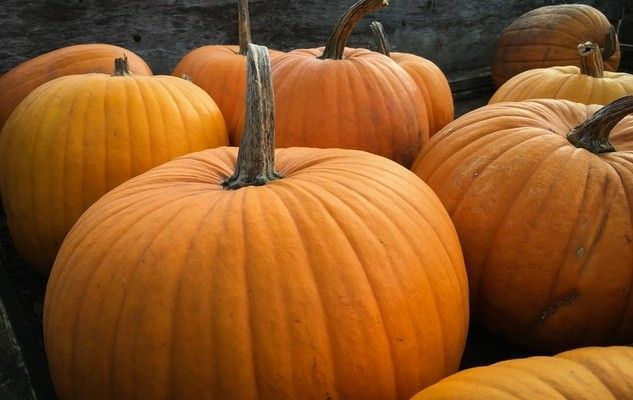 Want to try some good pumpkin recipes? Try our Spiced Pumpkin Soup or our Pumpkin Risotto.